Fun at the farm! Pregnant reality star Kourtney Kardashian was photographed at Moorpark Farm Center with her mom Kris Jenner and kids, Mason and Penelope on Saturday(October 18th). 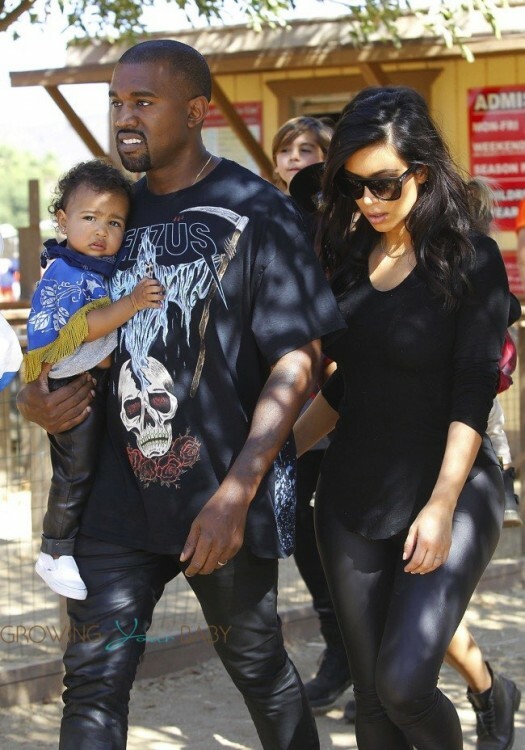 They were joined by sister Kim Kardashian, her husband Kanye West and their daughter, North. The group walked around and stopped by the pumpkin patch before enjoying a wagon ride around the farm. Kourtney’s growing belly was on full display in a black figure hugging dress. The mama-to-be added her sister Kylie’s plaid crop top to mix to add a pop of color to her ensemble. Last week the family started filming Keeping Up With The Kardashians Season 10. The cameras, however, weren’t along for the trip to the pumpkin patch. But fans can catch a look at how their summer went at the beach when Kourtney and Khloe Take The Hamptons debuts on November 2nd.